After reading that title, don't say I didn't warn you. 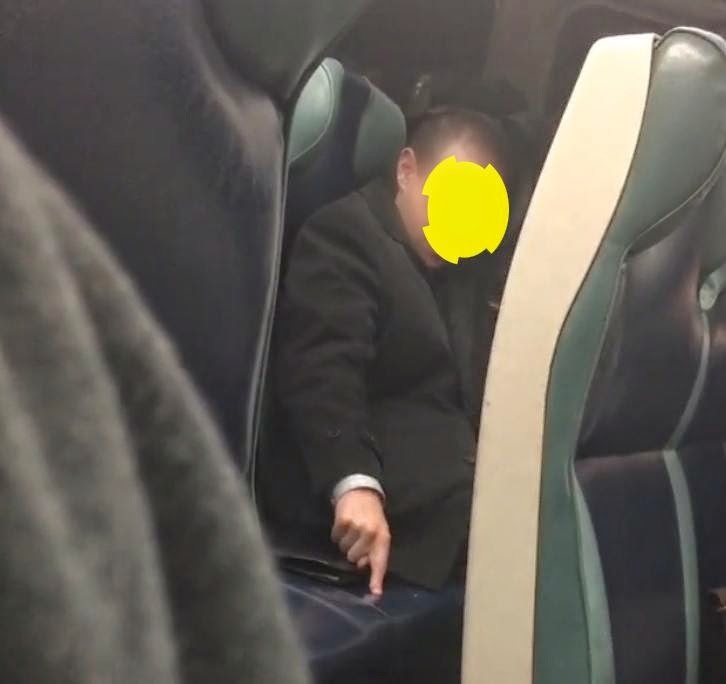 An alert TTIV reader saw something gross on the train and recorded the event. I'm telling you, it's nasty. If you're eating, point your web browser somewhere else, such as www.puppies.com. Close your computer. Just don't read any further! What follows in this post is NOT pretty. You're still reading? I admire your intestinal fortitude. OK, let's get to it. If you're a regular TTIV reader, you've read about bare feet on seats, smelly food, lavatories in desperate need of cleaning, fare evaders, and mystery liquid on the floor. This one blows that stuff away. The TTIV reader was on the 11:40 PM train, headed for Jamaica. The car wasn't crowded, and the story's villain caught our reader's eye. What did the villain do? He was on a gold mining expedition. He went deep. He performed a manual mucus extraction, via the index digit. In short, he picked his nose. What he did after picking his nose is best described via visual aid. See the photo captioned, "The Payload Disposal." This person WIPED THE CONTENT OF HIS FINGER ON THE SEAT NEXT TO HIM. I'm disgusted as I write this. Having watched this activity several times, our reader pulled out his phone and starting recording. He had to. Who would believe this? As the train pulled into Jamaica, the TTIV witness had enough. He turned to the Booger Bandit and asked if he needed a tissue. The man must have been embarrassed, because he said nothing and moved toward the train doors. Bad behavior and poor hygiene are epidemic on the Long Island Rail Road. I've seen nose pickers many times, and every time I do I'm reminded to wash my hands thoroughly when I reach my destination. Who knows what's on the surfaces with which I come into contact. Do you remember the post about commuting survival kits? Looks like it's time to add Lysol wipes to the arsenal. As you can see, I blurred out the villain's face because I don't wish to ruin anyone's reputation. I sure do hope he sees this story though, and is disgusted with himself. This one is shame worthy. If you're grossed out, it's snot my fault. I gave you fair warning.